Appearing in the Young Concert Artists Series, Paul Huang’s local debut was postponed by Hurricane Sandy from late October to pre-Christmas December. 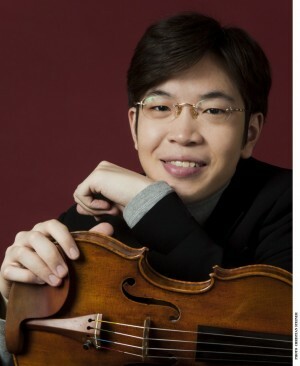 Throughout his programme, the 22-year-old Huang—Taiwanese-born, Juilliard-trained and 2011 winner of YCA’s international auditions—brimmed with enthusiasm, which was matched by stylish and polished playing. Beethoven’s Sonata in G major op.30 no.3 was an impressive opener, with Huang as sprightly, confident and communicative as could be. In the minuet, he contrasted his often bright upper register with warm middle and lower ones. Fervid Romanticism and poised Classicism were nicely balanced in Saint-Saën’s Sonata in D minor op.75, which also showcased the excellence of his ensemble with Jessica Osborne, who was an outstanding partner throughout. The highlight of the programme came after the interval, in a simply outstanding account of Ysaÿe’s Sonata-Ballade op.27 no.3. Messiaen’s 1932 Theme and Variations offered a somewhat austere amuse-bouche before the confections of the final course. Ravel’s Pièce en forme de habanera had perfection of atmosphere as well as fiddling. In Debussy’s La plus que lente, Huang caught the languor. Waxman’s ‘Carmen’ Fantasy found him master of changing moods and character. His playing could not have been mistaken for anything but a young man’s: brilliant, at times a bit rowdy, tremendously incisive but not yet at the level of Heifetz.